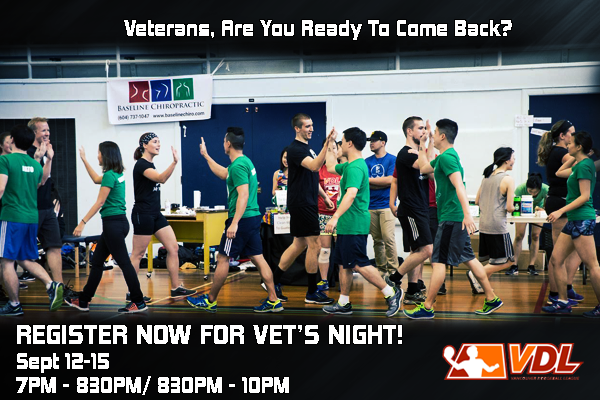 Vancouver Dodgeball League » Welcome to Season 22! Dodgeball 101 is a fun orientation for the new and inexperienced players. You’ll learn about the league, its rules & policies, handy tips, and you’ll even get to try these out with lots of practice games! Vet’s Night are for all returning players from prior seasons. You guys already know the game like the back of your hand, so sign up, dust off the rust and throw them balls! It’s also a great opportunity to learn about any new rules or league policies.